I consider myself a struggling (lazy) home cook. I can say I know my way around the kitchen and happy to be able to whip up simple dishes in minutes. But the main challenge is to come up with dishes that are considered healthy and will also gain family's approval. I always welcome new ideas and tried-and-tested recipes from family and friends. That's why, when I was invited to be a part of the Dole Chef Mom Program, I quickly accepted. Why? 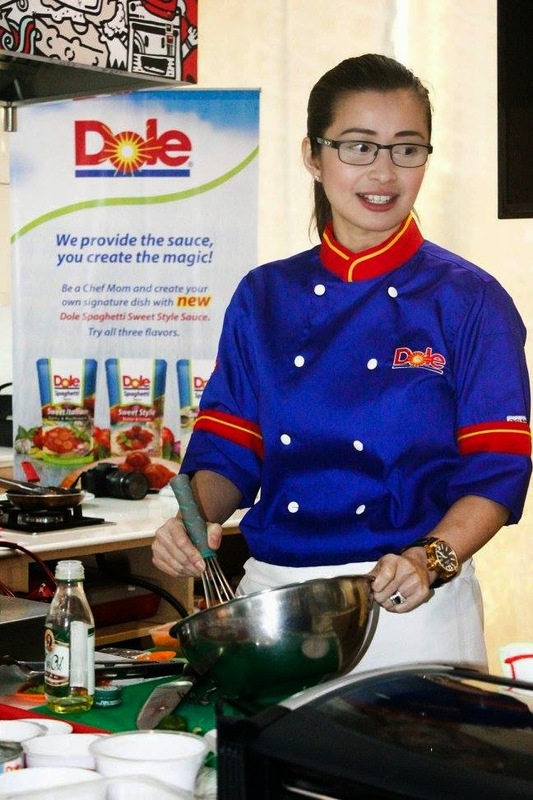 First, I do buy Dole products for my family, and second, I'll be learning new dishes with my friends who share the same belief that cooking and preparing meals should be easy, fun, and healthy for the family. 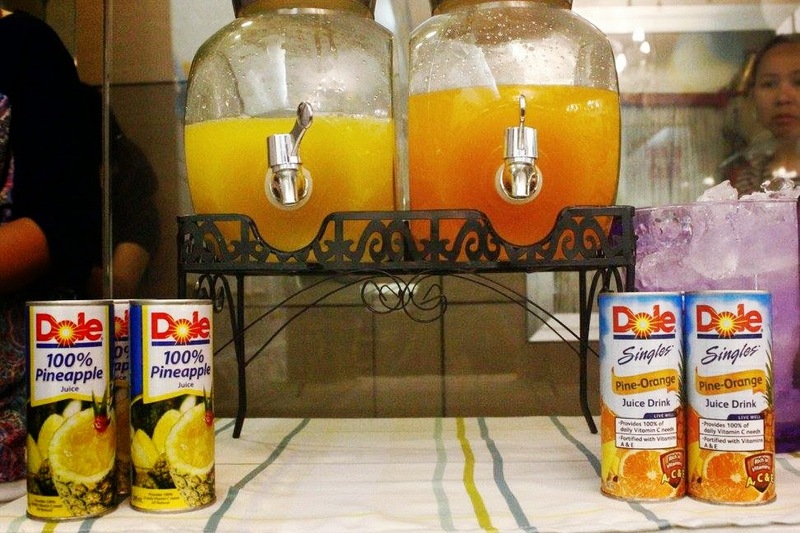 What is the Dole Chef Mom Program? "The Chef Mom Program was developed to encourage mothers to prepare home cooked meals for their family and break the cycle of eating out and ordering in. Home-cooked meals are always better and healthier, also because mom made it. 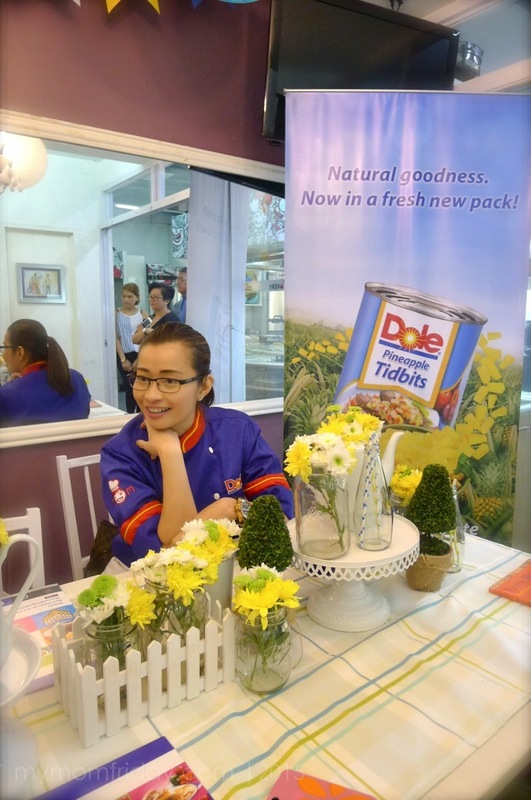 Dole also wants to create a fun and creative process in the kitchen, and encourage mothers to have fun and be fearless in experimenting." After introducing ourselves and learning about the Dole Chef Mom Program, we were all led to our well-equipped cooking stations with the mise en place and we're ready to proceed. We had our own personalized apron too! *The pork tenderloin (lomo, in Tagalog) is one of my favorite cuts of meat coz it cooks fast and remains juicy. I use it for stir-fry dishes, sweet and sour pork, and tocino. You know me, basta quick cooking time, I'll try it! 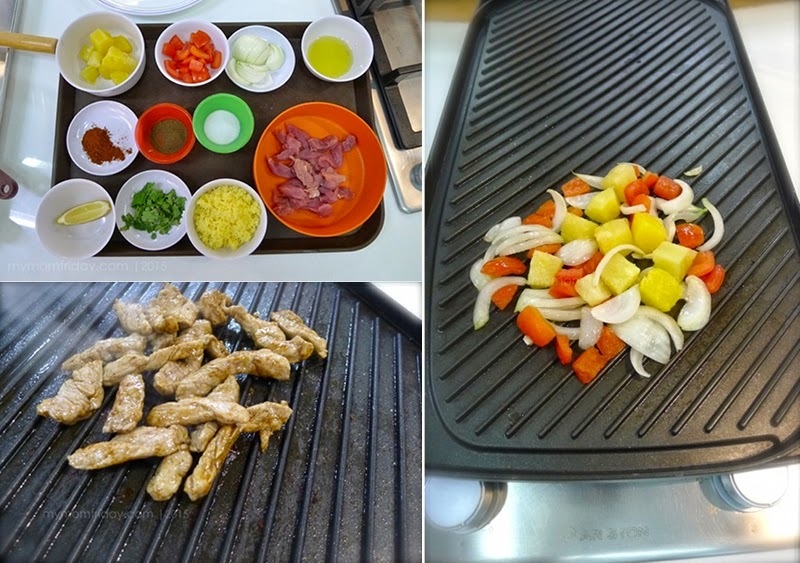 On a grill or on a frying pan, heat oil and sauté the veggies and pineapples until tender. Sprinkle some salt and pepper to taste. Set Aside. Do the same with the pork. Cook for about 6-8 minutes depending on thickness, in medium heat. Once cooked, toss everything together -- or you can layer the filling in each shell. 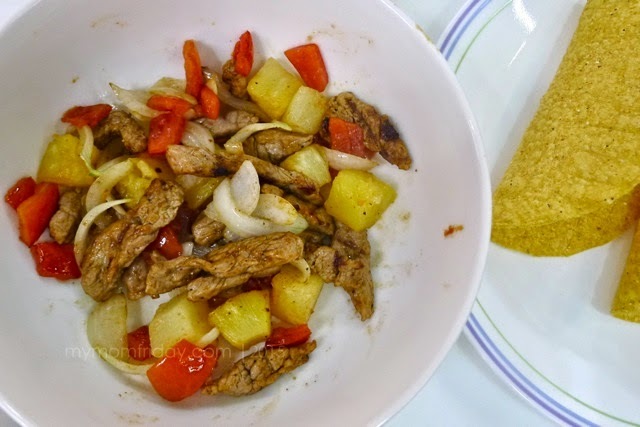 Fill your taco shells with the meat and pineapple mix. Squeeze some lemon if you wish, and top with cilantro and cheese. You can actually add some lettuce if you're used to having your tacos with more greens. It's very simple, easy to cook with healthy ingredients, sweet and juicy with the pineapples, and topped with cheese! It's an interesting combo, but the flavors worked really well together. This will be a hit with the whole family, for sure. 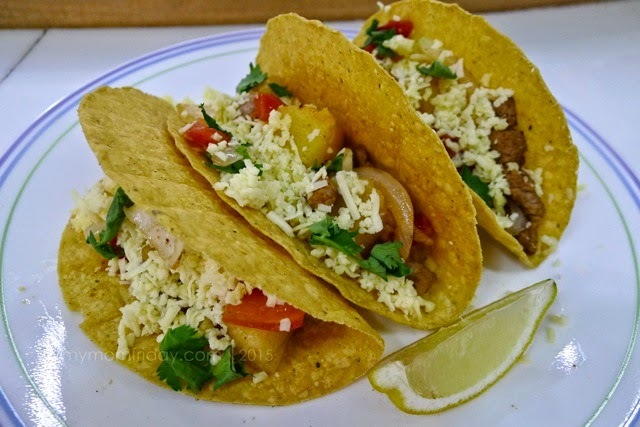 After plating our tacos, picture-taking muna, then we all devoured our first dish, heehee! Sarap! For the next dish, the fruit salsa was already mixed for us since this will take a little more time to prepare with all the chopping. 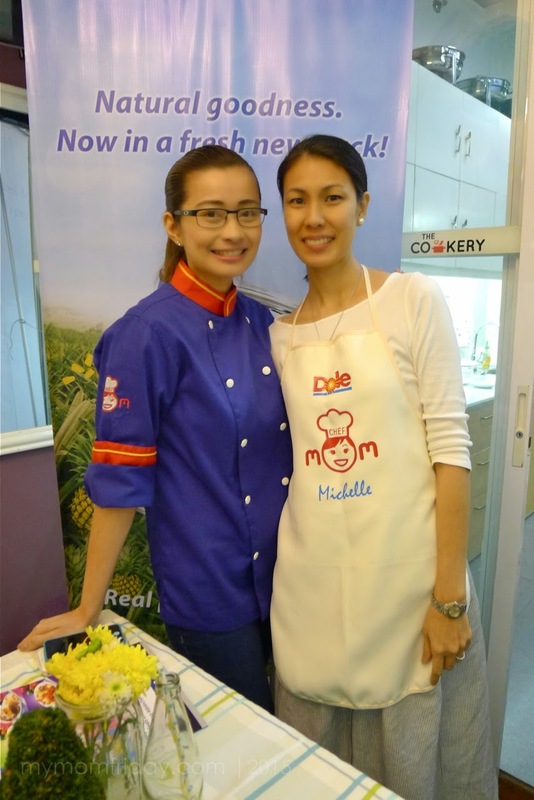 Dole Chef Moms at work. 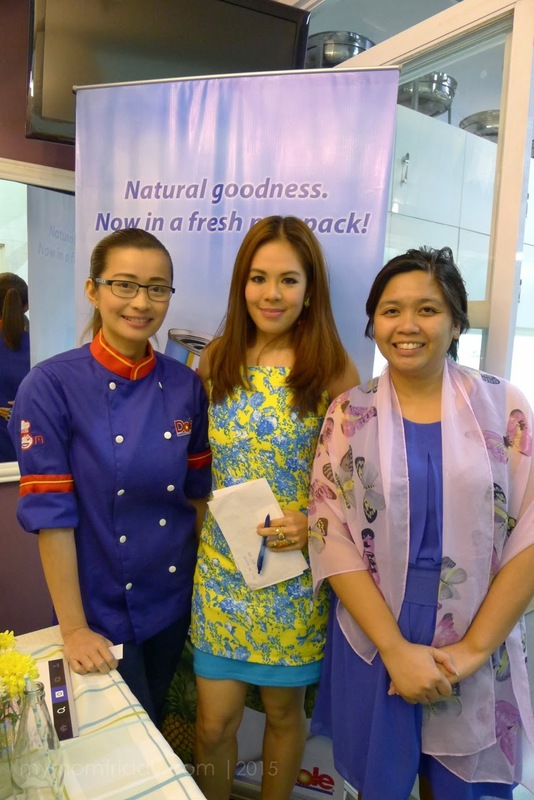 Photos from Dole Ph. Here's a short clip with chef Rosebud talking about the salad dressing. On a pan, heat oil and grill (I didn't have the grill pan so I used the fry pan) the chicken fillets until cooked. Set aside. 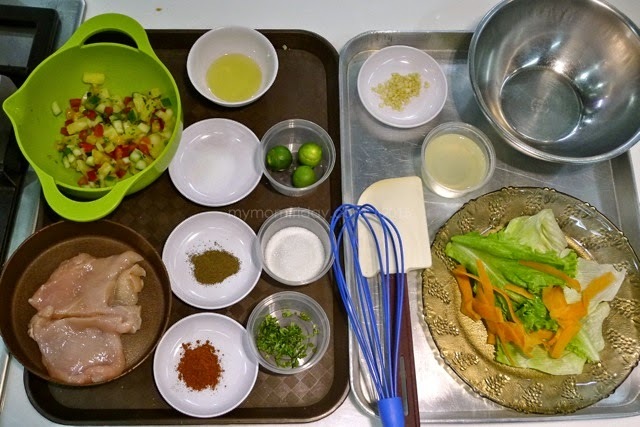 While chicken is cooking, flavor the salsa with a pinch of salt, about 1/2 teaspoon sugar, and juice from 2 calamansi. Adjust to your taste. We all loved the medley of flavors from the fruit salsa -- sweet, juicy, and tangy. I will definitely make this at home. 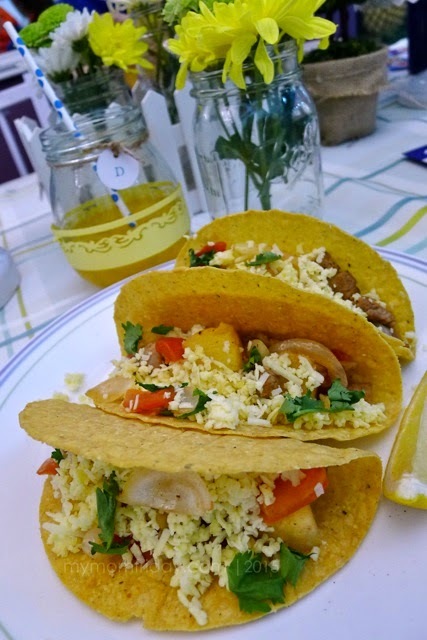 I can be great with the taco too! 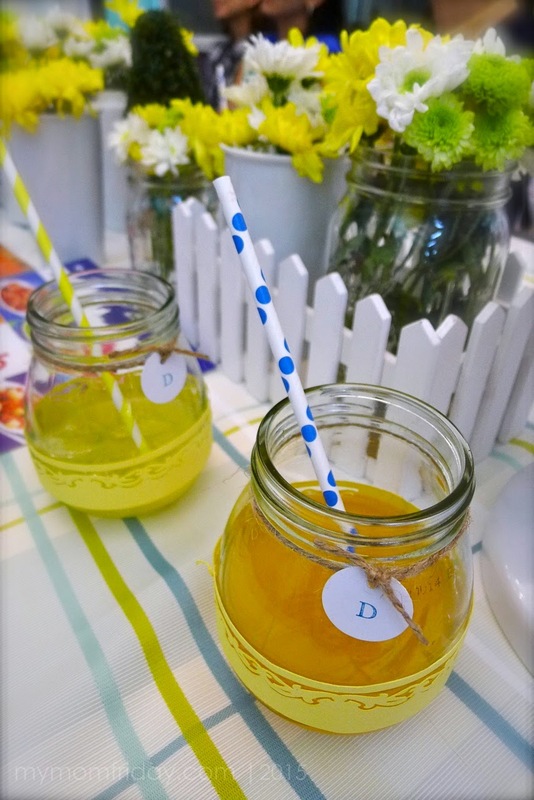 Chef Rosebud shared that the vinaigrette for the simple side salad will be made with pineapple juice instead of vinegar. How refreshing is that! Just whisk in a bowl the garlic with olive oil and pineapple juice (2:1 ratio) until emulsified. Drizzle over the lettuce and carrots. 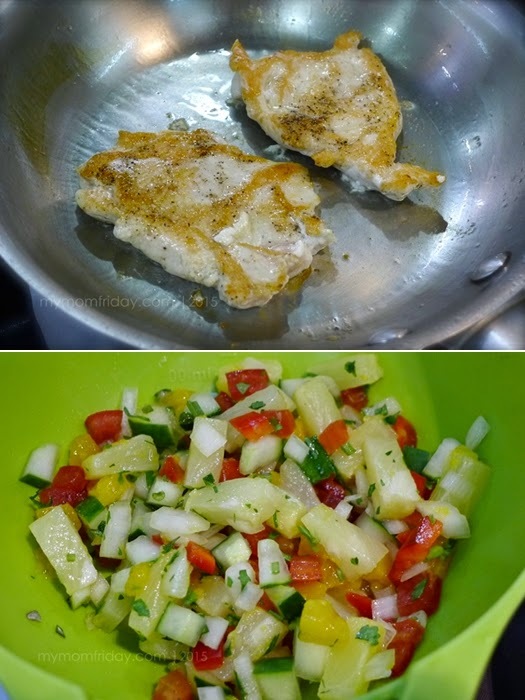 Another quick and healthy dish done in minutes! 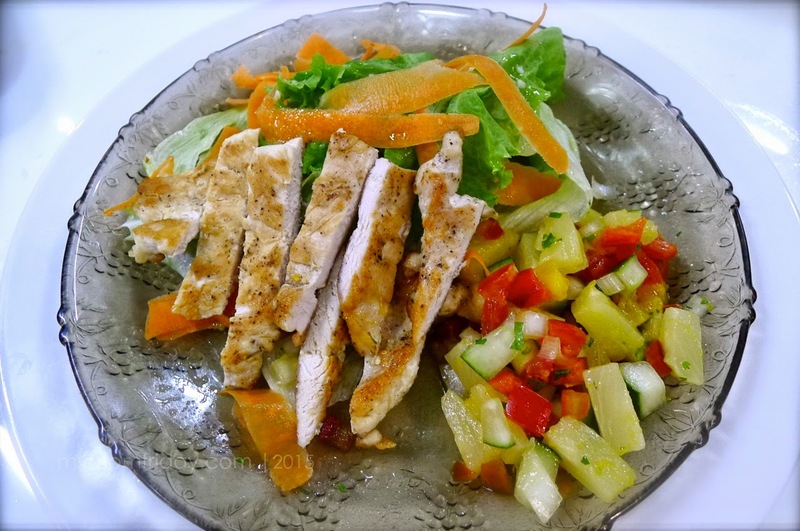 I plated my chicken fillets over the bed of greens, and fruit salsa on the side. What a colorful and vibrant dish! Everyone was pleased with their finished product, all thanks to chef Rosebud, who made everything look so easy. Siyempre, we sat down and enjoyed our own dishes again. Between the two dishes, I prefer this grilled chicken coz it's light, flavorful, and the salsa is the bomb! 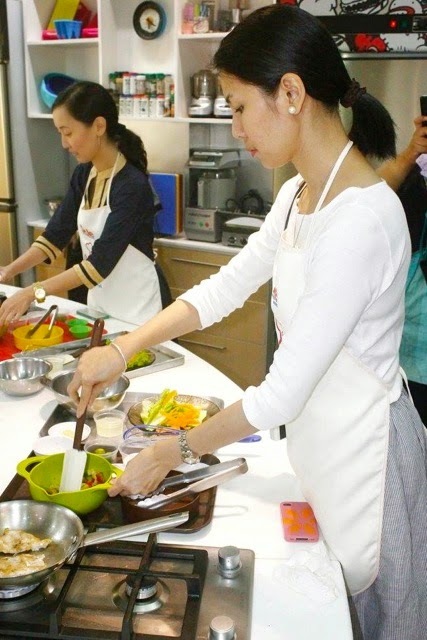 Another learning experience for me, made more exciting since it's the first time I cooked alongside with friends. It feels very rewarding that we were all able to recreate these Dole-ightful meals with fun and ease. 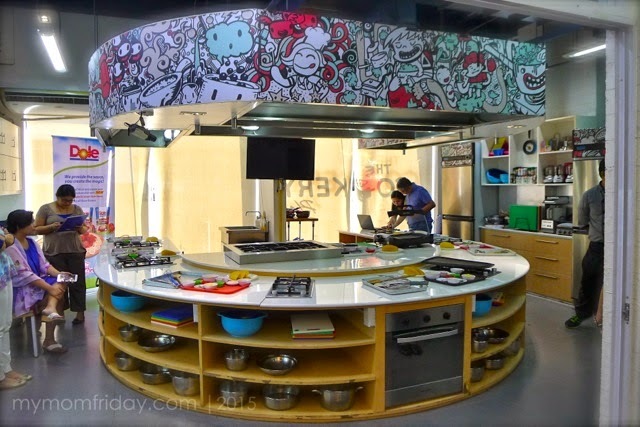 Kayang-kaya even for new home cooks. 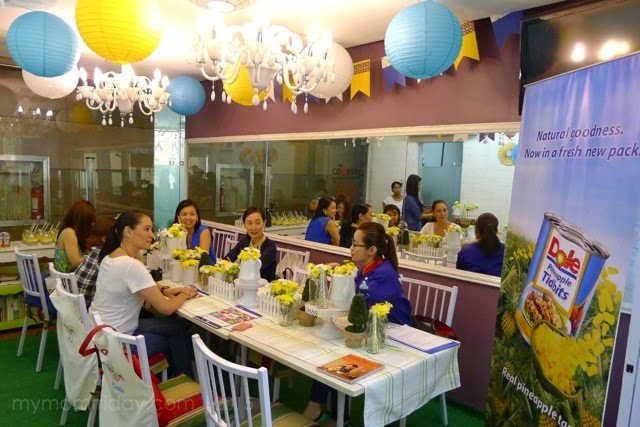 After our fun cooking session with Dole and Chef Rosebud, we all left inspired to create more healthy, home-cooked meals for our families. 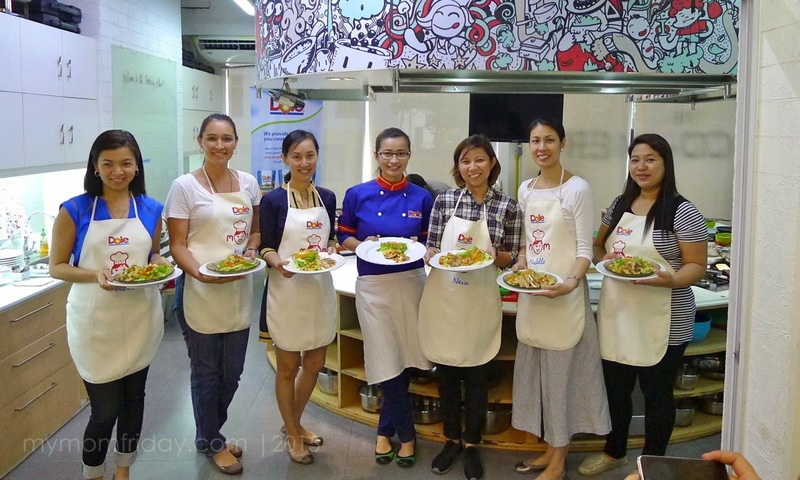 View more photos from our fun cooking session with Dole at The Cookery Place in this album. Note: Un-watermarked photos courtesy of Dole Philippines.